Finance professionals and organisations are being invited to celebrate the invaluable contribution they make to the West Midlands’ economic success at the 2017 Finance Awards. Entries to this year’s awards are now open with ten categories to choose from, including Rising Star of the Year and Mentor of the Year. 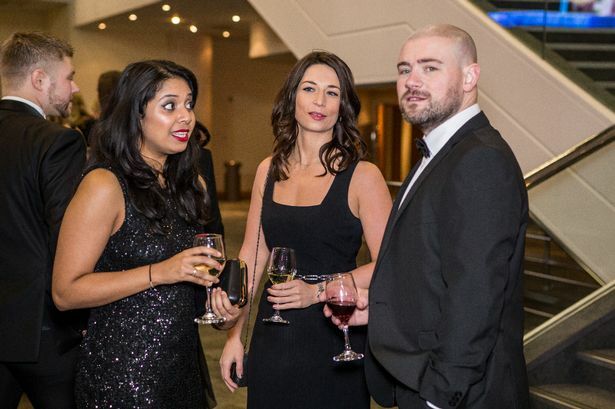 The awards – organised by ICAEW, Robert Walters, the Greater Birmingham Chamber of Commerce and RSM – celebrate exceptional achievements of finance professionals and organisations across the region. Figures from the Greater Birmingham Chamber of Commerce show that the West MIdlands&apos; 15,000 business and professional financial services (BPFS) firms bring £23 billion of GVA into the region - 25 per cent. Thirty per cent of Birmingham firms are in this sector and 300 company headquarters are located in the city, including RBS, NatWest, Deutsche Bank, Investec and HSBC. More than 500 people attended the inaugural West Midlands Finance Awards gala ceremony at the ICC last year where Jaguar Land Rover Chief Financial Officer Kenneth Gregor scooped a Lifetime Achievement Award. Rentokil Initial won the Business of the Year (large) category while Connect Advertising &amp; Marketing won the Business of the Year (SME) gong. Chris Poole, Managing Director of Robert Walters Birmingham, said: “We are hugely excited to organise the awards again this year. Paul Faulkner, CEO, Greater Birmingham Chamber of Commerce, said: “Business and professional financial services (BPFS) are vital to the success of Greater Birmingham. "We have many dynamic firms and high performing finance teams. Mark Taylor, Office Managing Partner at RSM, Birmingham, said: “RSM are delighted to be a partner of the 2017 Finance Awards. “These Awards are set to become an increasingly prominent feature of the local landscape in terms of recognising high performance in Finance. John Kelly, President of the Birmingham and West Midlands Society of Chartered Accountants, ICAEW said: “As part of the judging panel for the 2016 awards we saw how high the standard was for entries last year, and we expect the same to be the case this year. It’s easy to enter the 2017 West Midland Finance Awards. The first stage of entries requires a short form, with shortlisted entrants going on to complete a presentation for the judges.